It is the most famous work of art in human history. Millions of visitors come to the Louvre each year to admire the Mona Lisa, which has become an ideal of beauty and perfection. However, with the Mona Lisa, Leonardo da Vinci left behind more than just the portrait of a woman. He also left us with one of the greatest mysteries of all time. The real circumstances surrounding her creation remain a secret. To this day, nobody knows who the beauty with the mysterious smile in the masterpiece really was. It is also unclear when Leonardo painted the portrait. Did he carry it around with him throughout his life? Is the painting in the Louvre even the real Mona Lisa? Da Vinci did not leave behind any sketches or notes about the painting. There are only two contemporary reports that exist about the Mona Lisa, and although both sources are considered to be completely credible, they contradict each other. One reports that da Vinci was commissioned by Francesco del Giocondo in 1503 to paint a portrait of his wife, Lisa. The other claims to quote the artist himself saying that he painted the portrait years later for Giuliano de Medici. To this day, no solution has been found that would allow both accounts to be true. There would have to be two versions of the Mona Lisa. With the help of modern forensic methods, new sources and the discovery of a new painting, it is now possible to identify all the facts for the first time. Suddenly, all the contradictions make sense. Upon close examination, what was considered a simple copy for many years has turned out to be the missing link in solving all the mysteries. Her history sounds like an adventure: The ‘early Mona Lisa’ emerged for the first time in England in 1913, then moved to America and for many years was thought to be an insignificant copy. In reality, researchers should have focused their attention on this portrait long ago. It shows a much younger woman than the Mona Lisa in the Louvre. Viewing the work at the Louvre, questions arise as to how the portrait could possibly be of a 24-year-old woman who was reputedly known for her beauty at the time. One of the few witnesses who saw the Mona Lisa during its creation reported that it was an unfinished work that Leonardo would never complete. 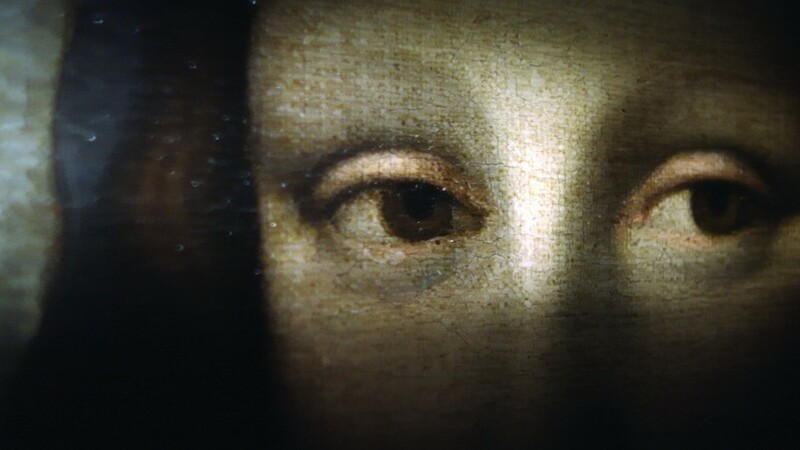 The Mona Lisa that has now emerged is also unfinished. Many other details and pieces of evidence are consistent with the sources from the time. However, only the final forensic tests showed that it was actually a painting from da Vinci’s time – most likely by his own hand.